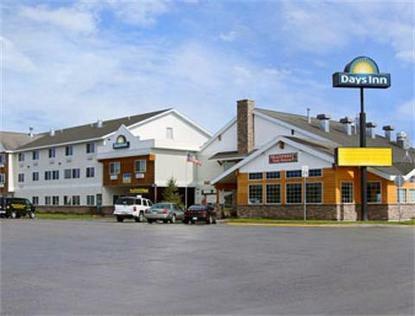 We are the closest Days Inn to Yellowstone National Park, only 3 blocks from the West entrance. Easiest access to the upper and lower loop. Our property is also within walking distance to all gift shops, restaurants, old and new historic sites and a museum. Grizzley &amp Wolf Discovery Center, the newest addition to the Yellowstone Area, allows visitors to view the Grizzley Bear and Wolf, in their habitat. Imax Theatre, Live Musical Theatre, as well as Blue Ribbon fishing on Madison and Gallatin Rivers, Game hunting, wildlife preserves and special viewing areas are all close by. Enjoy seasonal activities such as golf, rafting, rowing/canoeing, water skiing, horseback riding, snowmobiling, and down hill skiing. This hotel is a 4 Sunbursts property.